Gambling giant GVC Holdings has been among 15 companies to receive a scolding letter by the UK Investment Association for their failure to address shareholder concerns over bosses’ fat-cat pay, business news outlet This Is Money reports. The list of companies named and shamed by the trade body for paying their bosses excessive amounts of money includes GVC, pharmaceutical giant AstraZeneca, and Pepa Pig creator Entertainment One, among others. All of the companies that have received a letter from the Investment Association have been rocked by shareholder revolts over their remuneration reports over the past two years. The trade body said that it has written to another 17 companies that suffered consecutive revolts over re-election of directors or issuance of new shares. 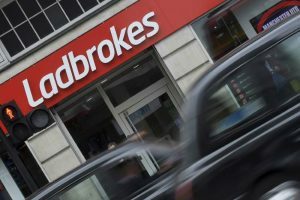 GVC Holdings, which completed two major acquisition deals in as many years and is now the owner of Ladbrokes Coral, was among the companies to be the most heavily criticized by the Investment Association for failing to respond to concerns raised by investors. The major gambling operator has suffered repeated revolts over the amounts of money it has paid CEO Kenneth Alexander over the past few years. Mr. Alexander received £18.4 million last year and £19.8 million the year before in share options. In addition, GVC has awarded its Chairman Larry Feldman £22.5 million in share options over the past two years. About 45% of GVC’s shareholders voted against the proposed pay to its CEO during last year’s Annual General Meeting and 44% voted down the company’s remuneration report this year. However, these votes are only advisory in essence and shareholders are only entitled to vote on a company’s pay policies once in three years. In other words, a company is not obligated to do anything even though the majority of its shareholders vote against the awards given to its bosses. Commenting on the matter, Investment Association Director of Corporate Governance Andrew Ninian said that while many companies are taking action and moving to engage with investors, the number of those failing to address concerns has been frustratingly large. Mr. Alexander has been in charge of GVC for more than a decade now. He had a key role in the company’s growth from a £26-million business that employed only seven people into a gambling powerhouse with a market cap of well over £4 billion, more than 3,000 workers, and digital and physical presence across key gambling markets. GVC’s CEO has successfully navigated the company through two takeovers in just as many years. The Isle of Man-headquartered gambling giant acquired fellow operator bwin.party and its multiple brands in 2016. Earlier this year, GVC completed the £3-plus-billion acquisition of British bookmaker Ladbrokes Coral. The post Gambling Giant GVC Slammed by Investors over CEO’s Fat-Cat Pay appeared first on Casino News Daily.